The African Centre for Media Excellence is profiling young Ugandans who have created and are giving platforms to writers to showcase their creative work through various literary initiatives. 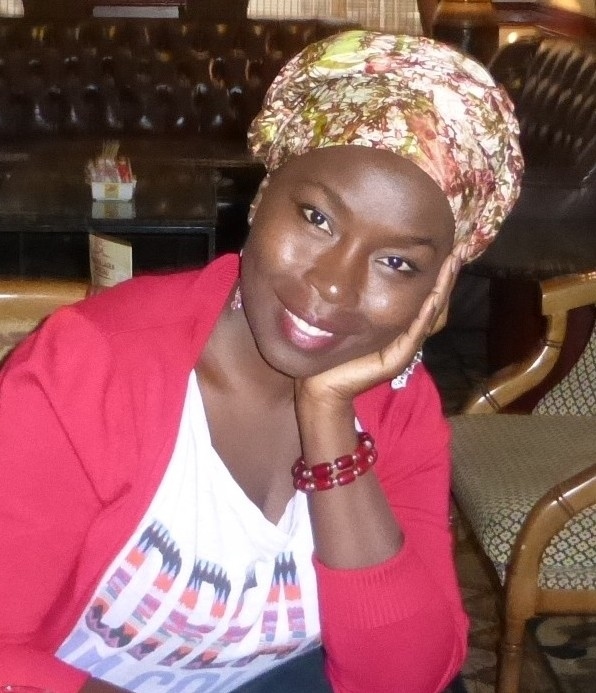 Today, we profile Sophie B Alal, an award winning poet and writer. Sophie founded Deyu African, a ‘digital repository of traditional knowledge and contemporary culture’ in 2012. The online platform is used to publish and archive oral traditional knowledge in form of songs, poems, photographs, history, fiction and non-fiction work and various forms of art. Why did you start Deyu African? From a young age, I’ve been passionate about art, design and culture. So I decided to start an initiative that would approach these ideas from an unapologetic pan-African and Afrocentric perspective. There are times when I’ve felt alienated from the culture around me. And I know I’m not the only one who feels this way. So my desire was to create a space where we could break down barriers. I believe it’s important to have media that projects wholesome images of our diversity. And mainstream media is not going to deliver that, since the dominant group often sets its agenda. How have writers benefitted from Deyu African? At times mainstream literary spaces keep a distance from grassroots writers. So it’s great for us to reach out and enrich the dialogue on who we are as a country, and how our intelligence and cultural awareness contributes to global knowledge. Our young writers have learned presentation skills, short story writing, flash fiction and arts journalism. Many can now format their work in professional standard manuscript formats. On a lighter note, one grows in confidence when there is a supportive community. So we hang out, eat delicious meals and sometimes fight, epically and graciously, about sci-fi, the future of fashion, oral literature or the progress of the African Renaissance. What would you change or improve about Uganda’s creative writing industry? Sophie Alal the founder of Deyu African. Society is served well with good ethics in the creative writing sector. It creates possibilities for enlightened literary critique which can expand our understanding of concepts such as ethnicity, neo-liberalism, sexual diversity, feminism, environmental justice and the relationship between politics, art and literature. The limitations in our local industry are quite salient though. If we imagine that our best writers must be published abroad to enjoy significant success, then a lot of work must be put in to raise standards at home. Monica Arach de Nyeko’s beautiful story Jambula Tree and even Jackee Batanda’s award winning short story Dance With Me had to be published outside of Uganda. We deserve better production quality. It’s incredibly depressing to find books with serious errors being sold as literature. For my friends Dilman Dila and Melissa Kiguwa, they recently chose to print their books A Killing in the Sun and Reveries of Longing respectively, with small presses based in South Africa. Competing for international markets is out of the question when the quality of our products is anything close to mediocre. The publishing industry is a business like any other, and ideally it should recoup its investments and make some reasonable profit. Therefore industry professionals must invest in an excellent pool of proof readers, fact checkers and editors to help writers better articulate and market the ideas in their craft. A book must be so well produced that it seduces a reader from a distance away. How would you commend Ugandan writers or challenge them to do better? Ugandan writers are multi talented and continue to push the limits of what they can achieve, which is commendable. I know that L. A Lutara is working on a graphic novel, Dilman Dila has a TV series, and Angella Emurwon presented the beginnings of a new play during the first Kampala Theatre Festival in 2014. We could do better in terms of intellectual rigour. I believe it helps to tone down on the ego tripping or ‘arrivalism’ syndrome and practice more humility in creative leadership. I once went to a poetry slam at the Goethe Zentrum Kampala –when it was still at Nakasero, and one of the ladies got on stage and made her recital in a five kilogramme accent anchored somewhere between London and New York. Some people in the crowd threw back their heads and started laughing, and it ended sadly when she became aware of herself and just walked away. This anecdote is not intended to ridicule anyone who cultivates a different accent, rather it should make us realise how difficult it is for many people to be accepted. I think we can learn something from artists like Jungle De Man Eater. Clearly, he struggles with English but his Lusoga poetry is fantastic. When we focus on what is beautiful about our culture and what is good about us, performances are thrilling to watch. Consider Nakisanze Segawa, whenever she performs Maya Angelou’s Phenomenal Woman in Luganda, she gets a warm reception from the audience time and again. Art has to speak to us in a language that we understand. I don’t like preaching but it’s always good to be conscious about the price we pay for our silence. The ugliest attacks on freedom of expression come from the state right now, and it’s troubling when our intellectual peers maintain their silence. On one hand, we have to remain safe in order to continue producing bodies of work, but it’s also particularly disturbing when we encounter de-fanged stories crafted to keep heart rates normal. What have been the highs and lows of running Deyu? My lowest point was walking away from a regular salaried job to dedicate my energy to Deyu African. It was exciting at first but I felt vulnerable stepping into an unknown. So I had to work really hard to get on my feet. You know, when one is not using their brain, the body must flex its muscles. So I took up baking to raise startup capital. Sometimes I’d be utterly exhausted after spending all night on my feet making fondant and sugar animals and decorations. The journey was hard and joyful, and it gave me the clarity to appreciate and empathise with my contemporaries who were also staying the course with similar social enterprises. My best moments are when we receive submissions and a writer is happy with their final edit. Recently we’ve had submissions from Ghana and Nigeria mostly, and that’s been a high point. At times I’ve been tough to the point of cruelty –in expecting excellence of course. Up till now I wish I were a little gentler with some submissions. Because when it comes to good writing, ability is as much a factor as the circumstances of one’s life. Some people wish to write, but they’ve not been afforded the resources to hone their craft such as a superior education, internet access and opportunities to meet mentors. Therefore they give up on drafts before publication. What should we expect from Deyu African in the near future? We are seeking out new partnerships with conscious collaborators who share our goals. And this year, we hope to expand by bringing on board copy editors and proof readers. In two years, finances willing, my partner and I shall be inaugurating a creative hub. I’m a baker, gardener, certified counsellor and a writer. My ancestral village is in Agago. What have you written/published in the past? I’ve been published in anthologies such as Beyond the Dance and Painted Voices by FEMRITE. I’ve also written art reviews for The EastAfrican, AfricanColours magazine, the Global Press Journal and others. I’ve got poetry in Beverley Nambozo’s A Thousand Voices writing, which I helped to name. My fiction has appeared in Kalahari Review and Lawino Magazine. Are you working on anything at the moment in terms of your creative writing? Yes. The details give me nightmares so I’ll not indulge. Which five books by Ugandans have you read and recommend? Doreen Baingana’s Tropical Fish. It’s a book I loved because of its unabashed exploration of the lives of three ordinary sisters. Binyavanga Wainaina’s One Day I’ll Write About this Place. Technically Binyavanga is Ugandan by descent. Maximum respect for a writer of floating identity and stinging intellect. Dilman Dila’s A Killing in the Sun. (Full disclosure, we are in the same writing group) For me, there is a preciousness about these stories because they took shape under our critical gaze. Jennifer Nansubuga Makumbi’s Kintu has the most hilarious wake ever. It brilliantly portrays the landscape we negotiate as Baganda abroad and as locals straddling traditions and modern life. Sylvia Tamale’s African Sexualities, A Reader is a ground breaking compendium that anyone who is interested in understanding the complex dynamics of gender in Africa ought to read. I still haven’t finished reading it though.